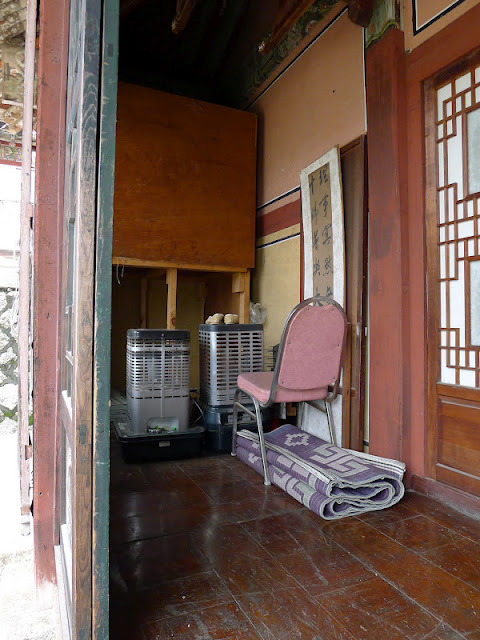 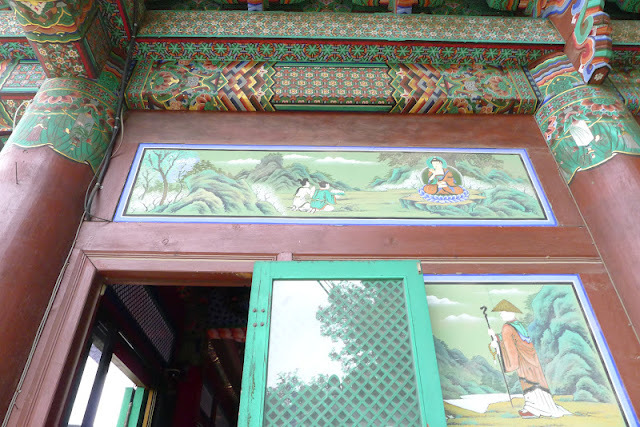 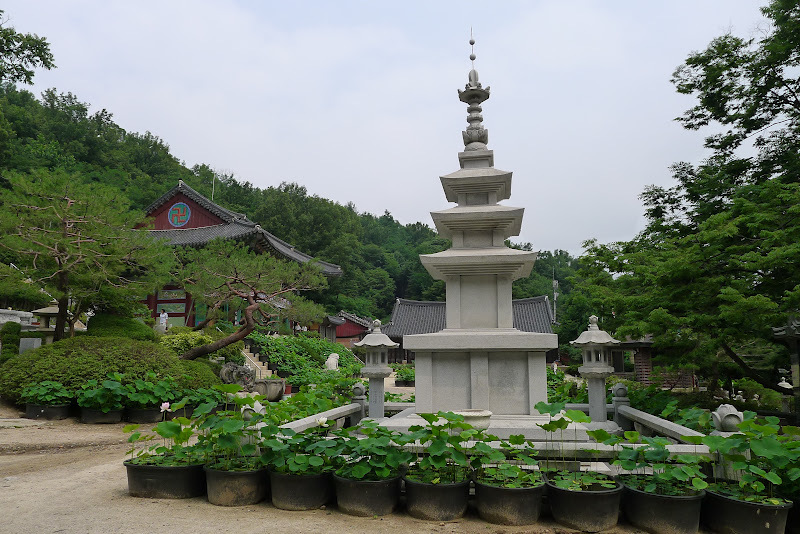 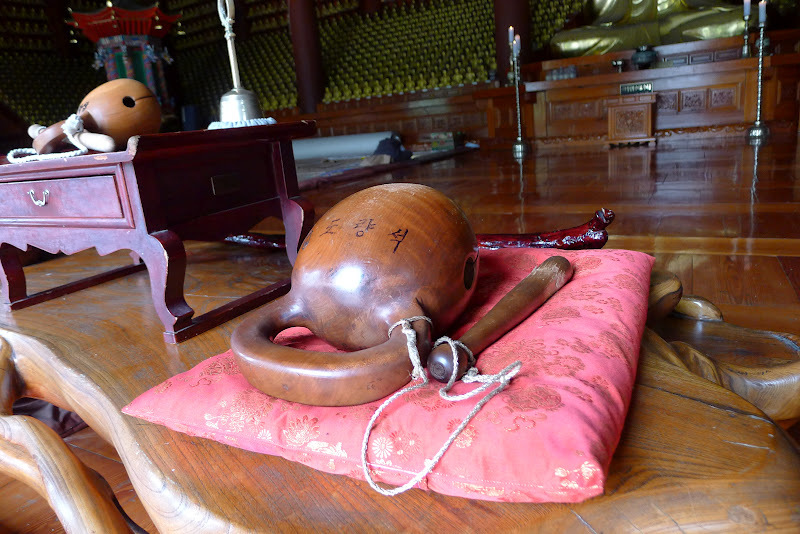 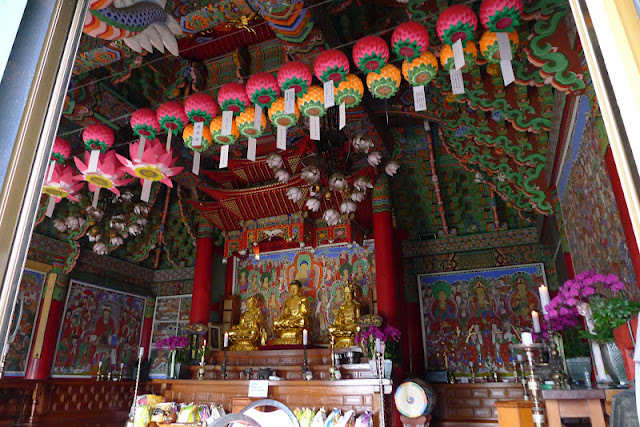 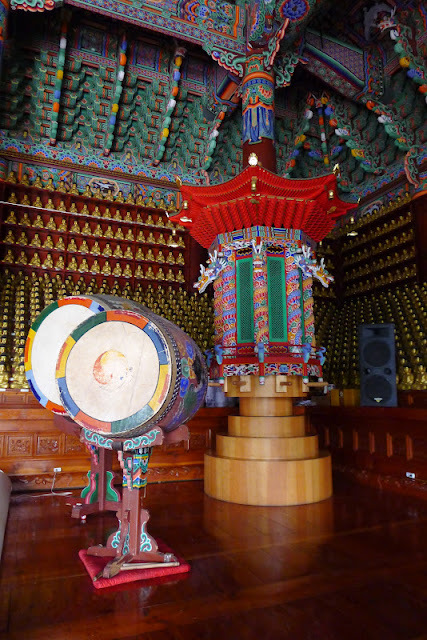 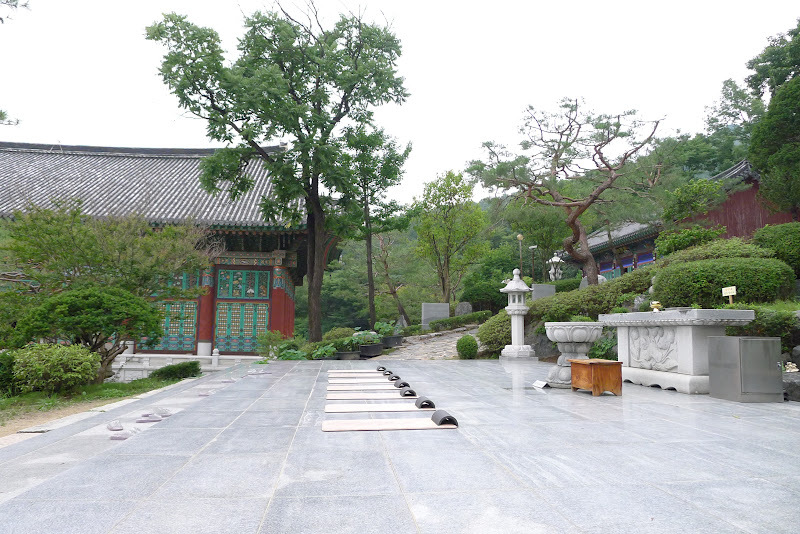 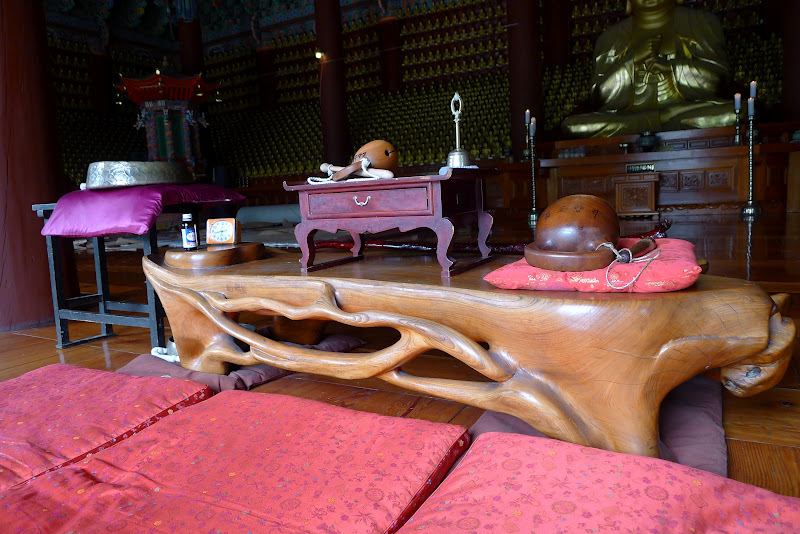 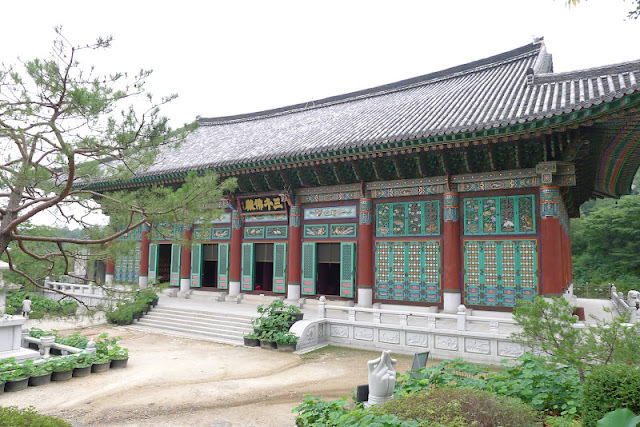 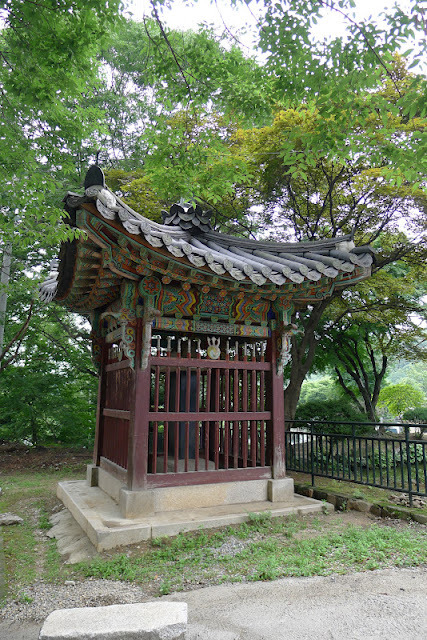 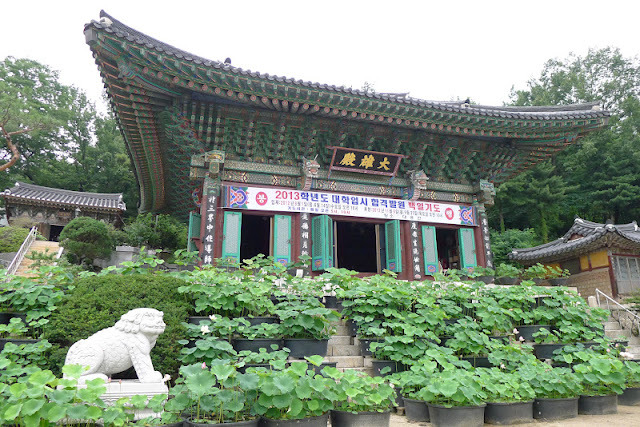 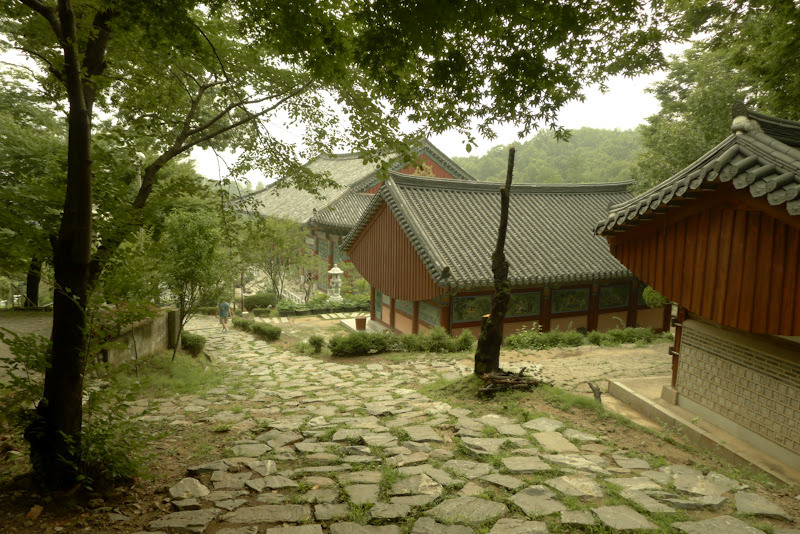 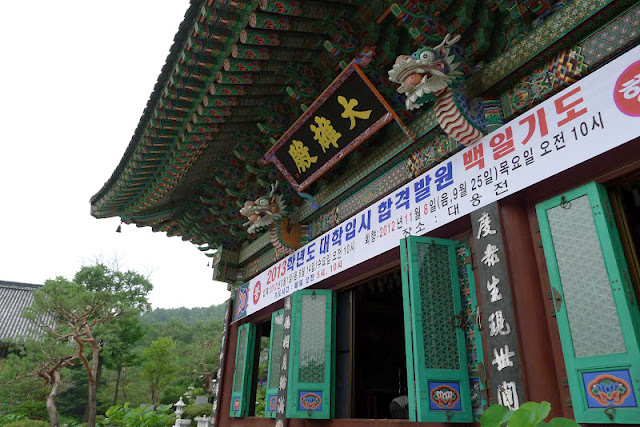 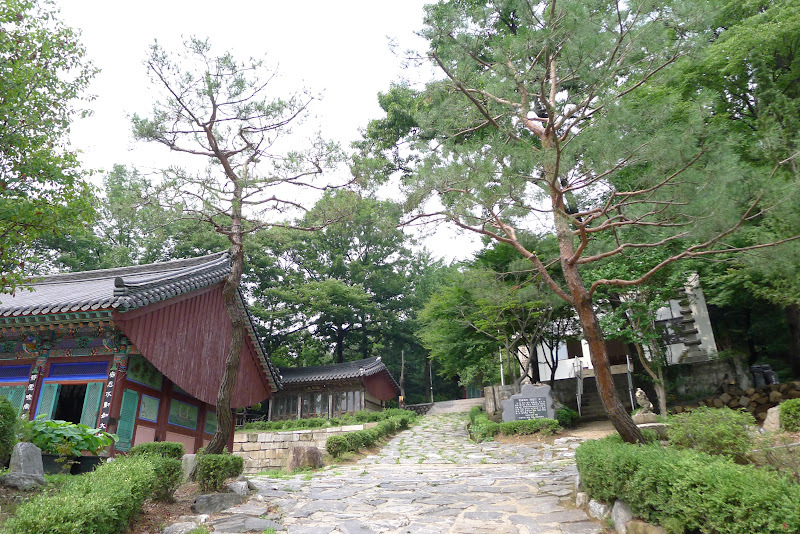 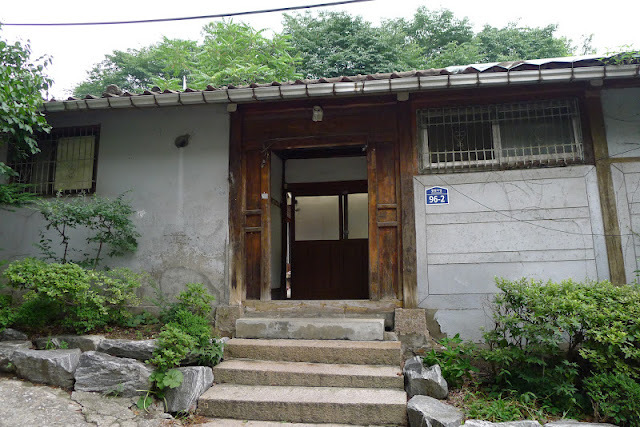 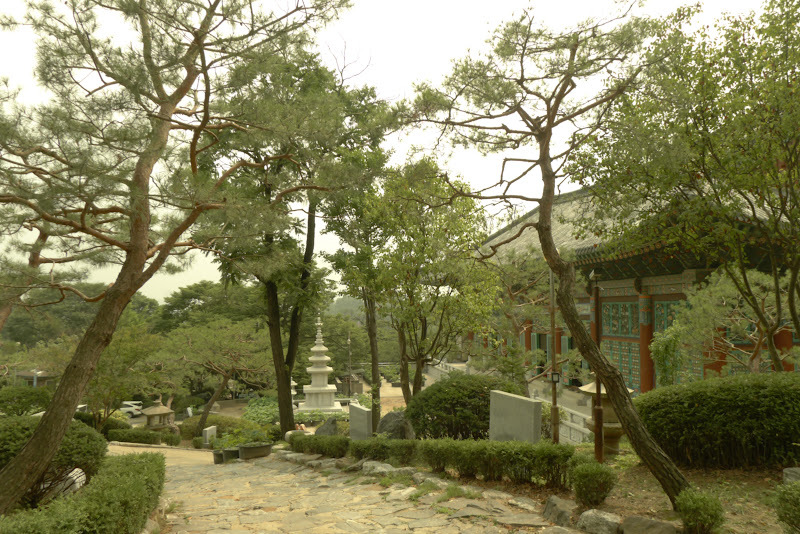 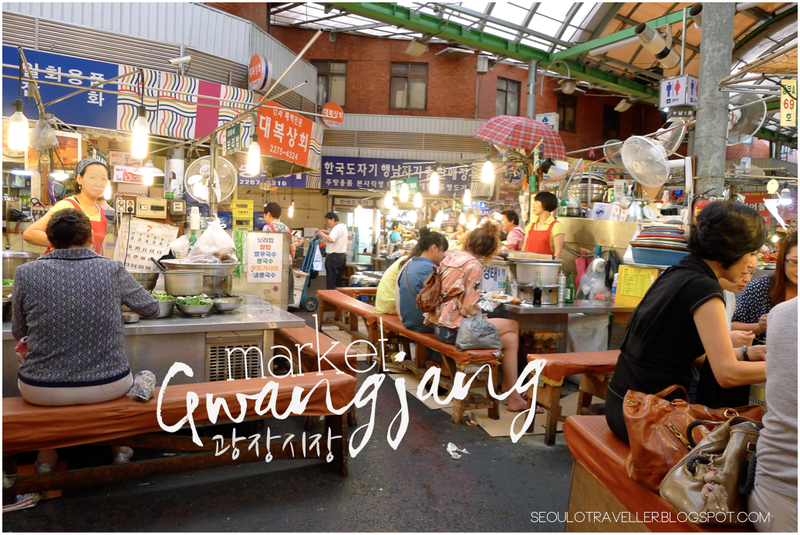 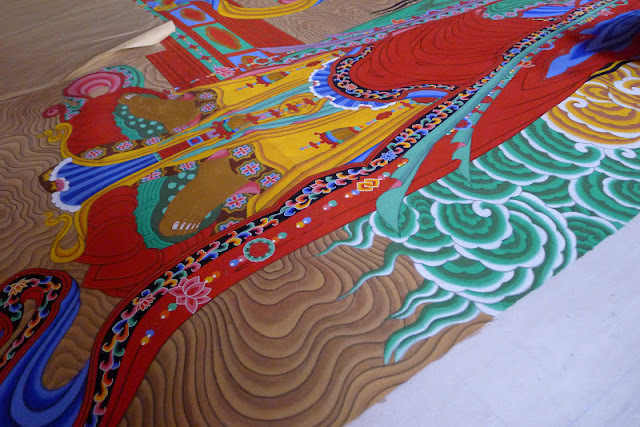 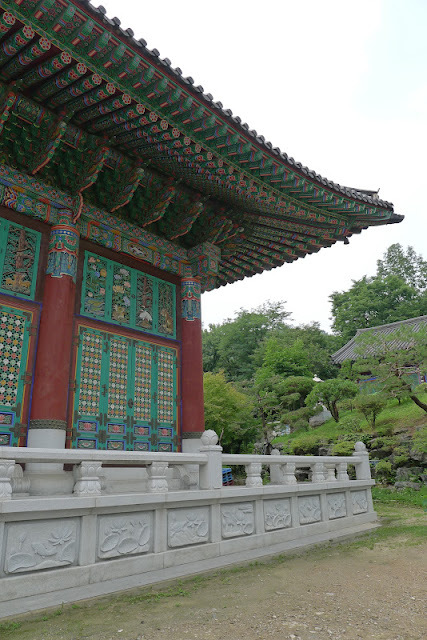 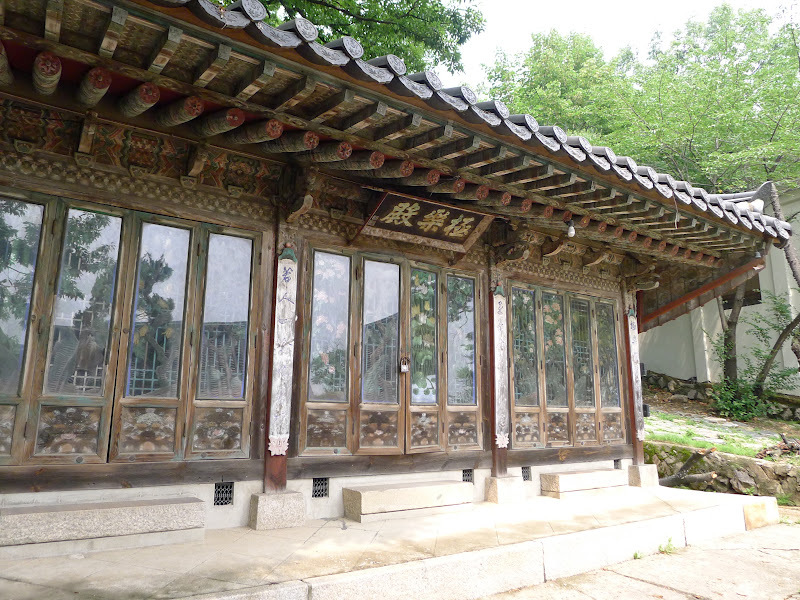 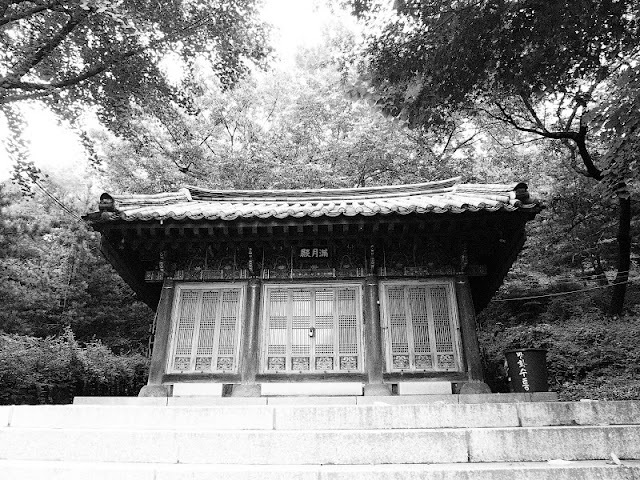 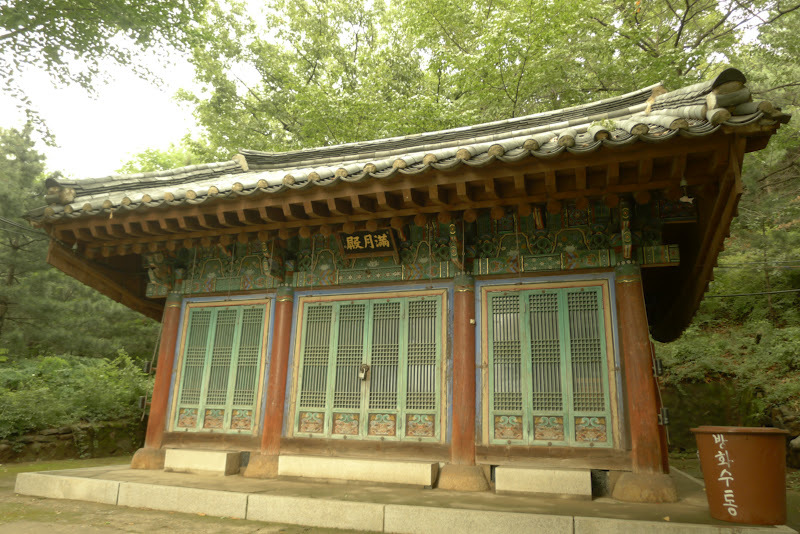 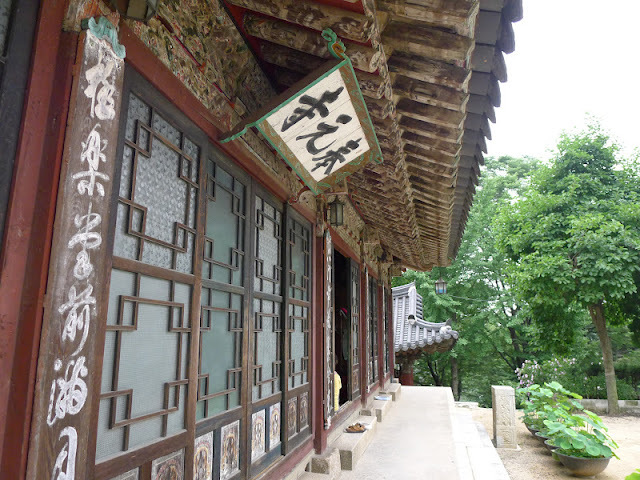 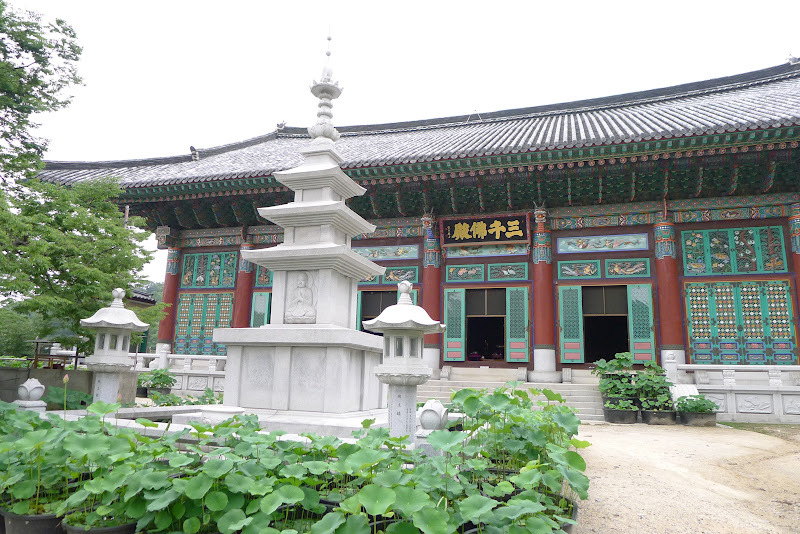 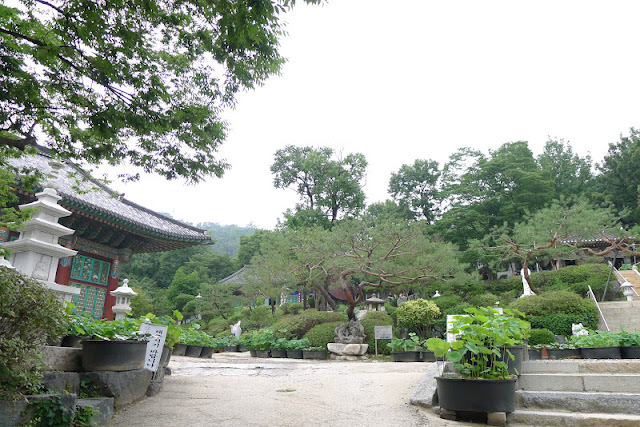 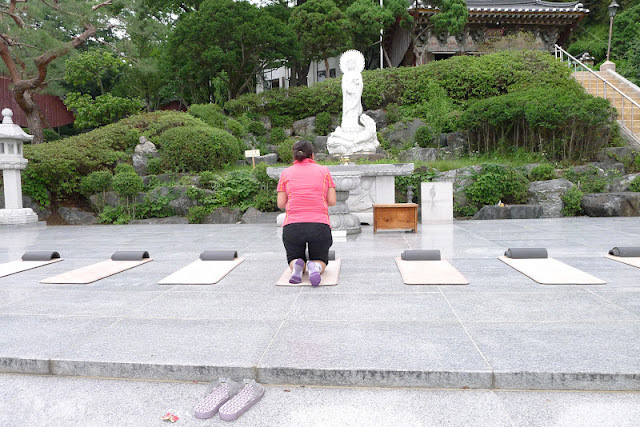 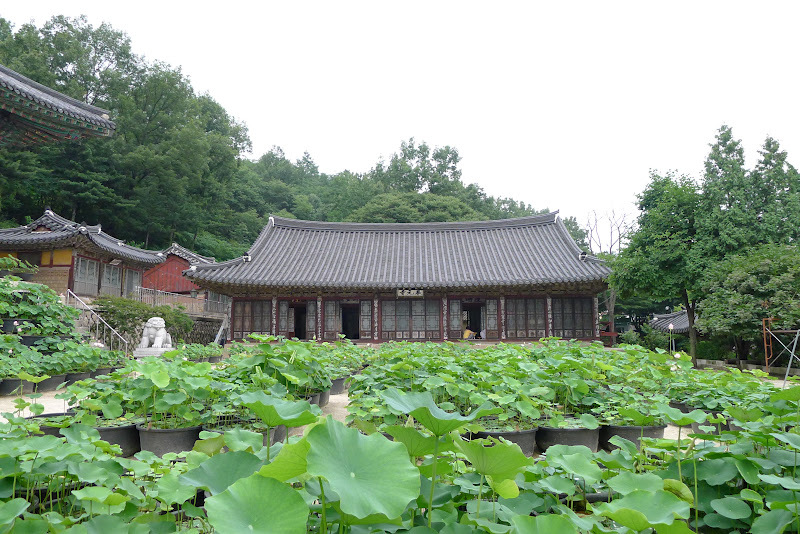 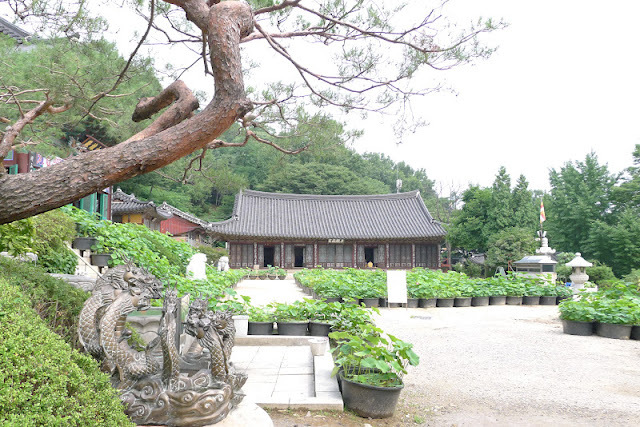 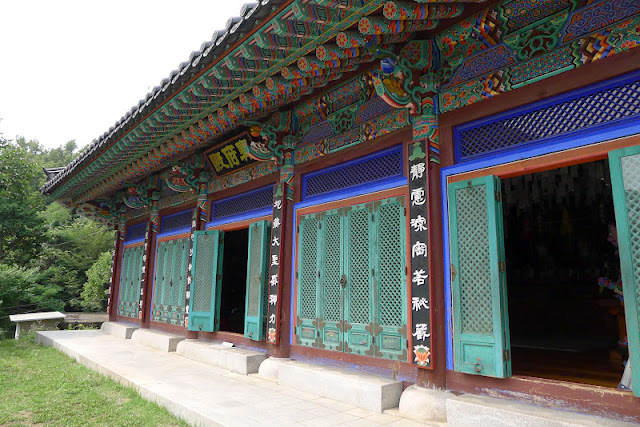 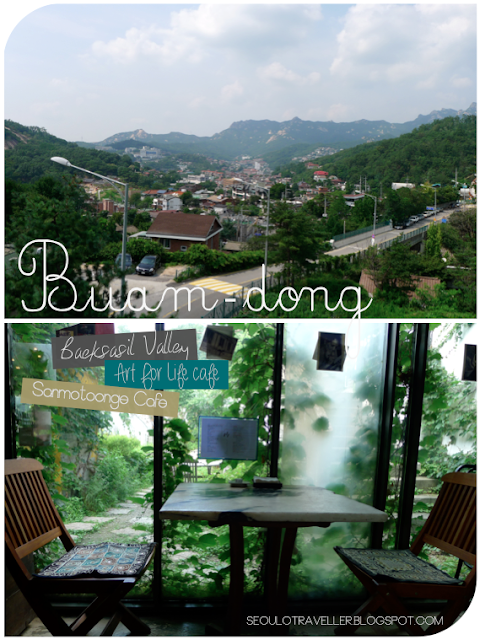 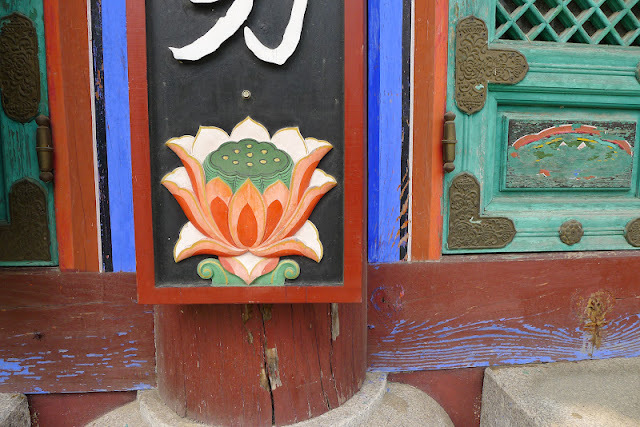 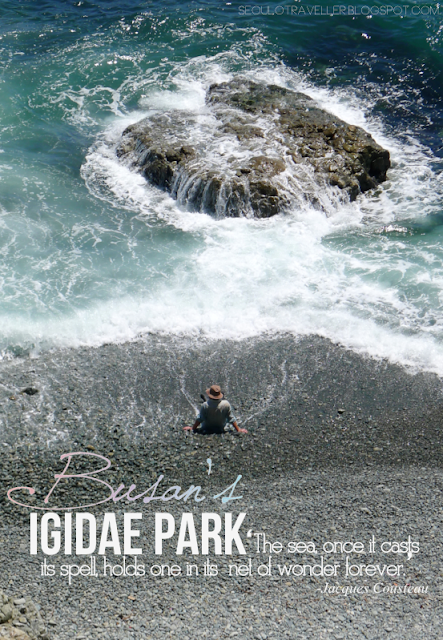 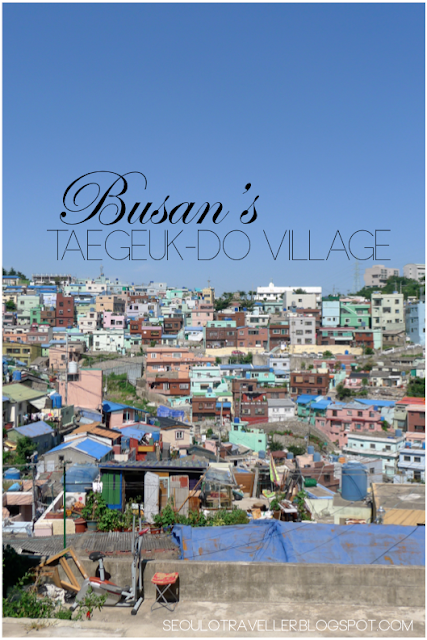 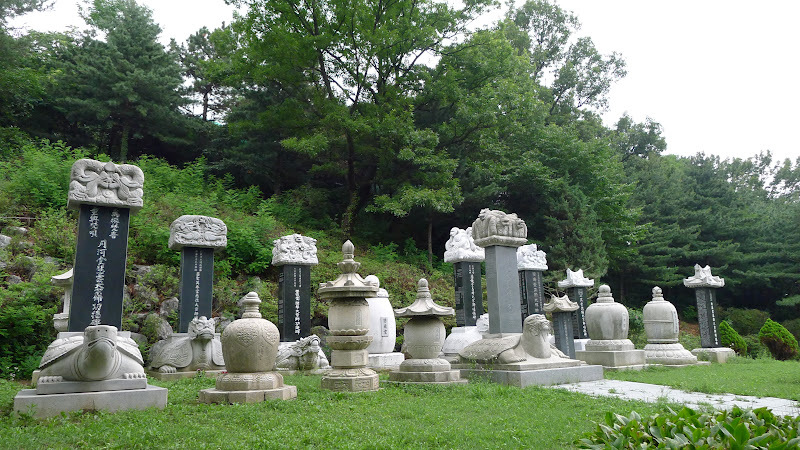 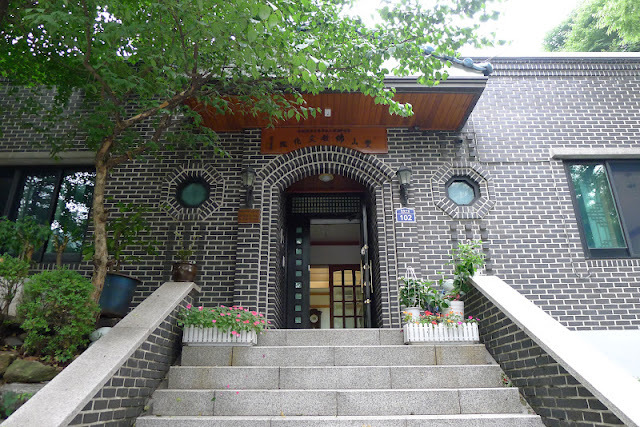 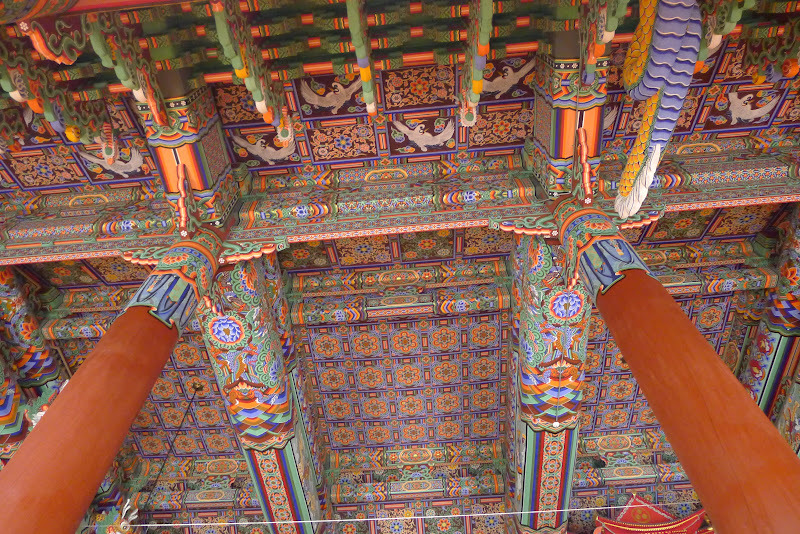 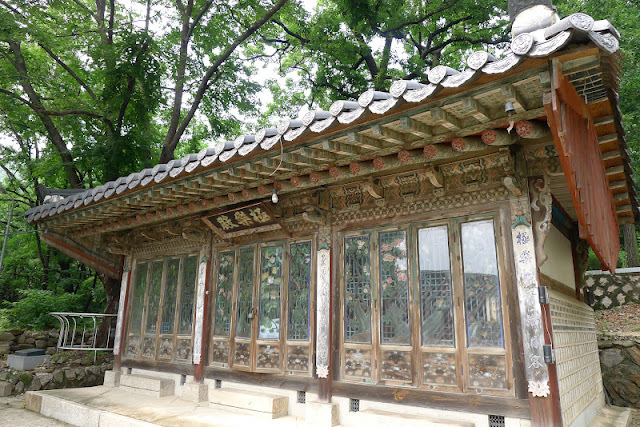 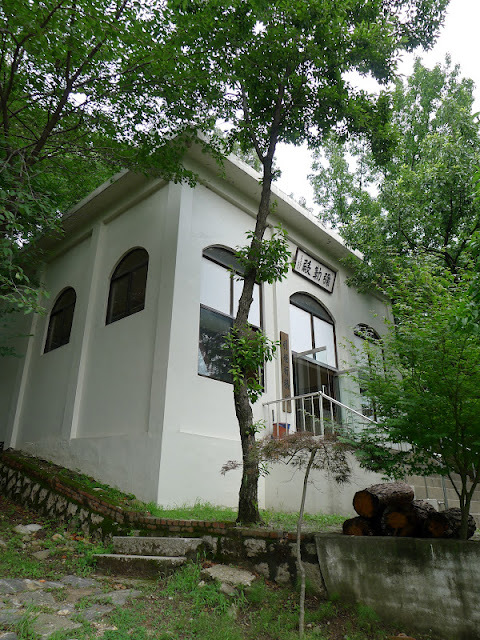 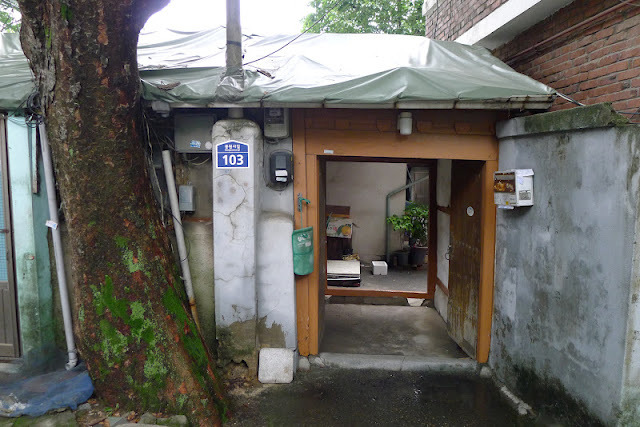 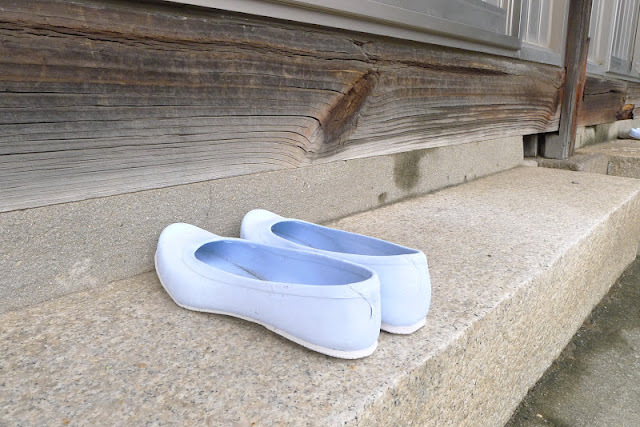 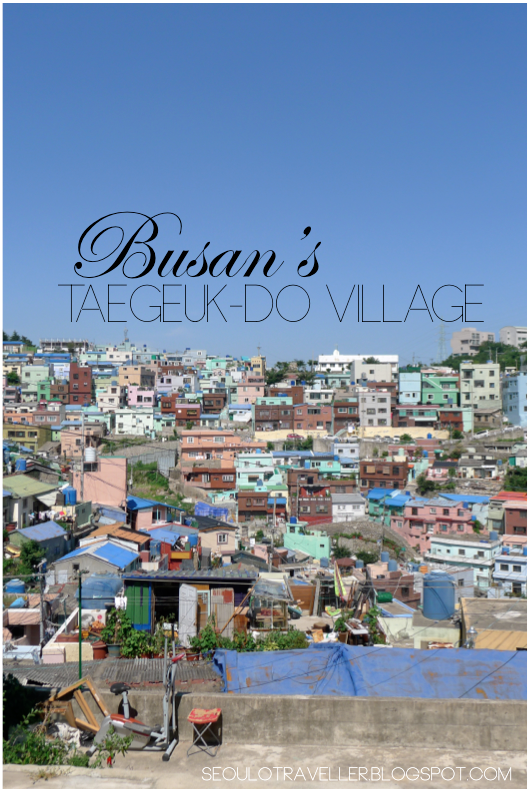 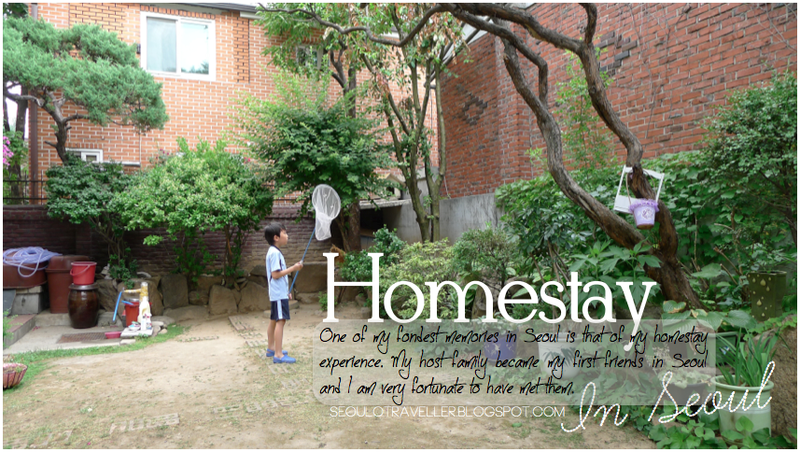 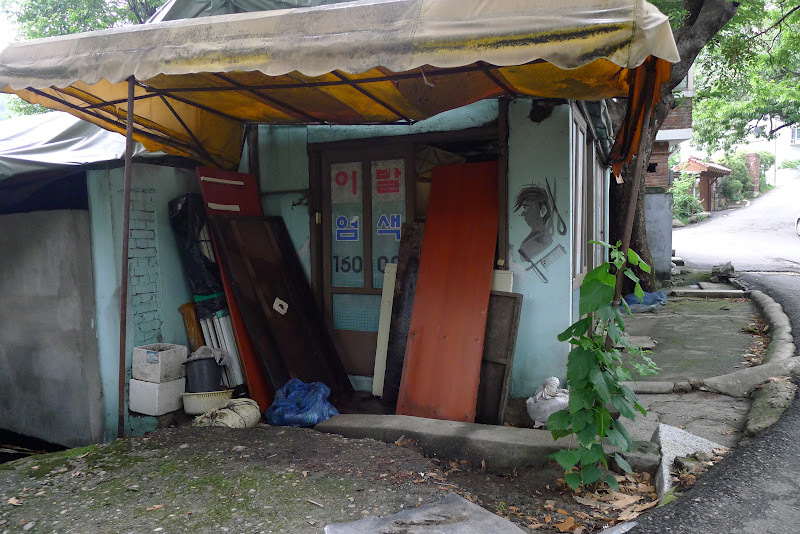 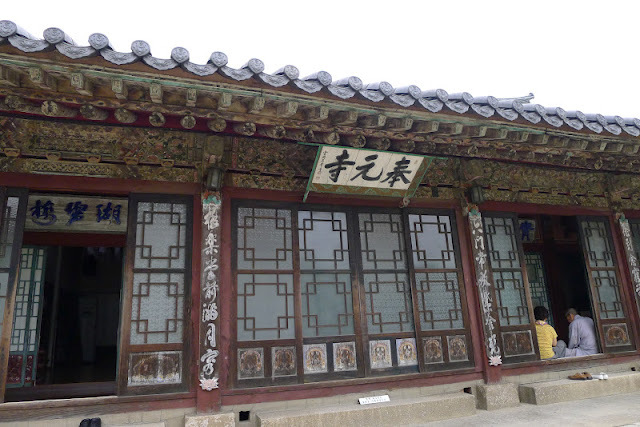 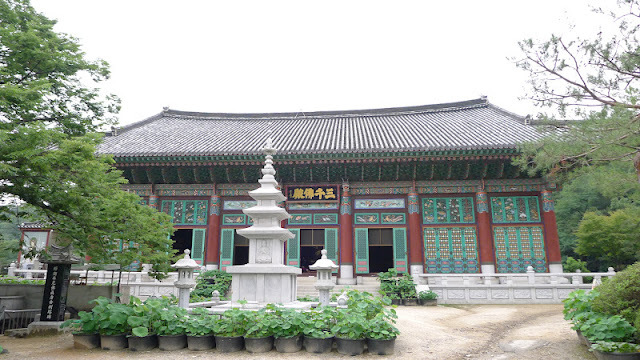 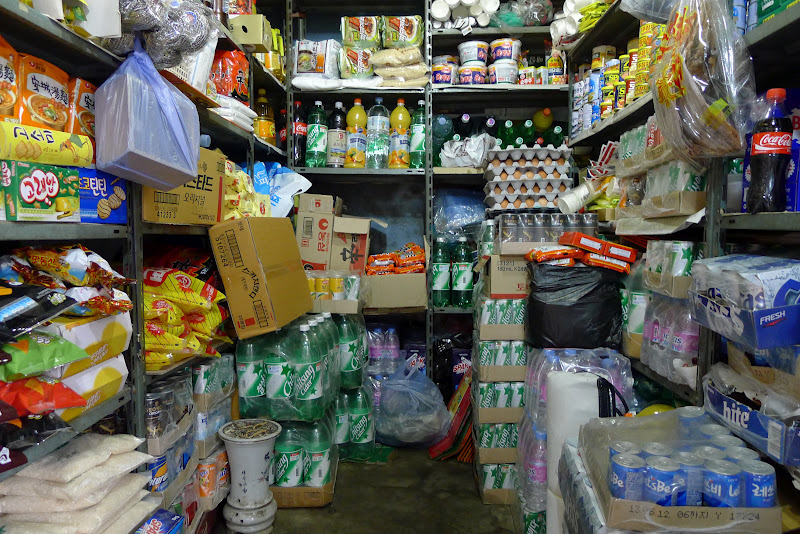 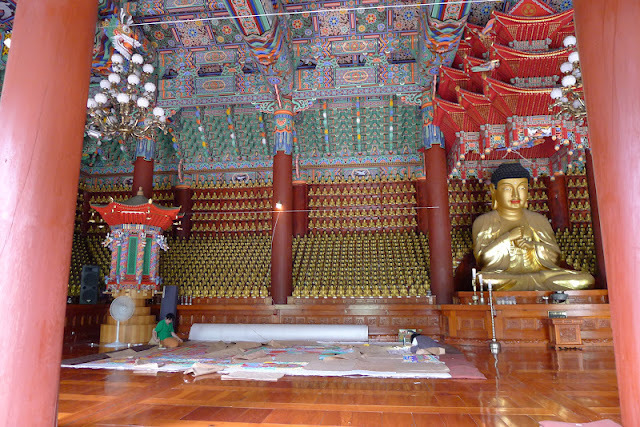 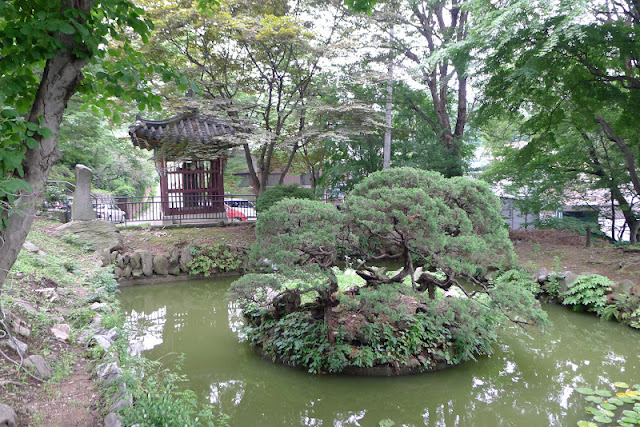 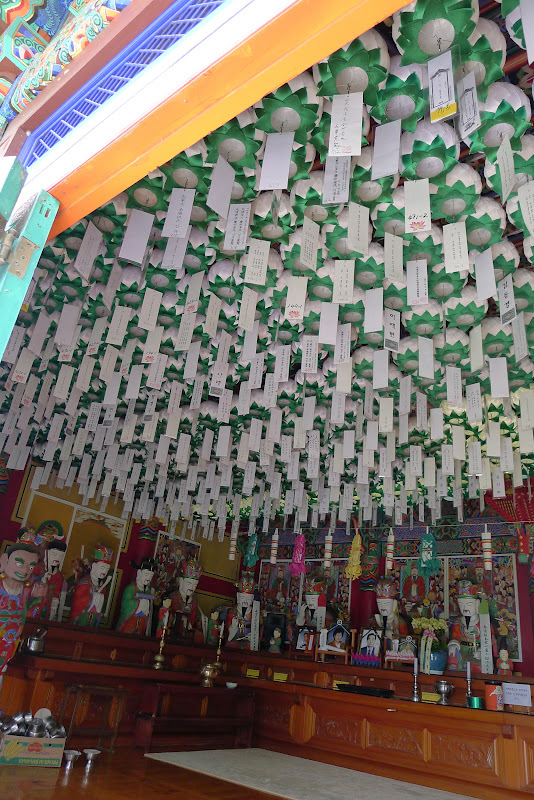 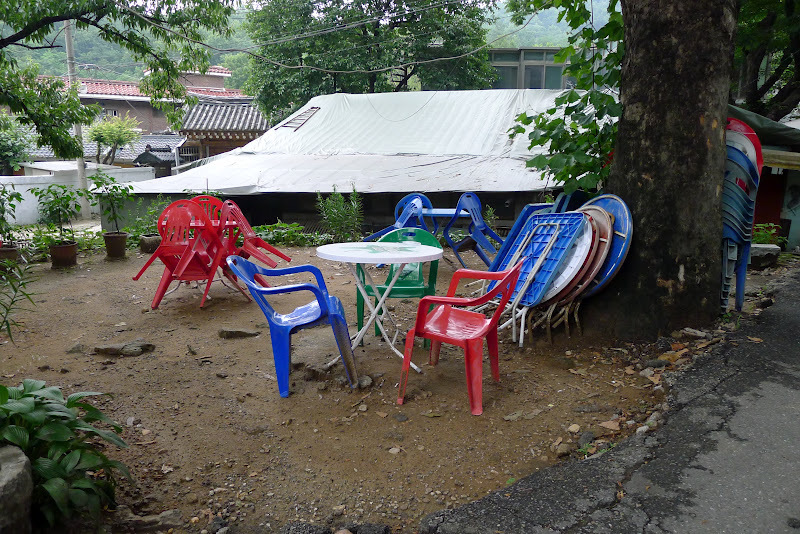 I decided on visiting Bongwonsa Temple because it is conveniently located at Sinchon. 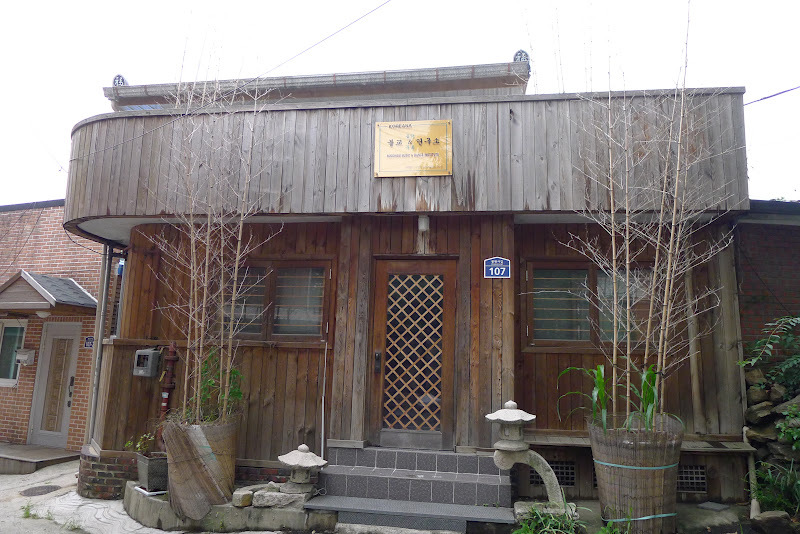 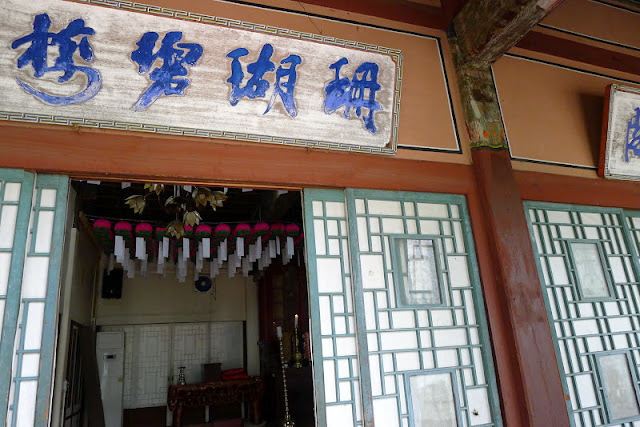 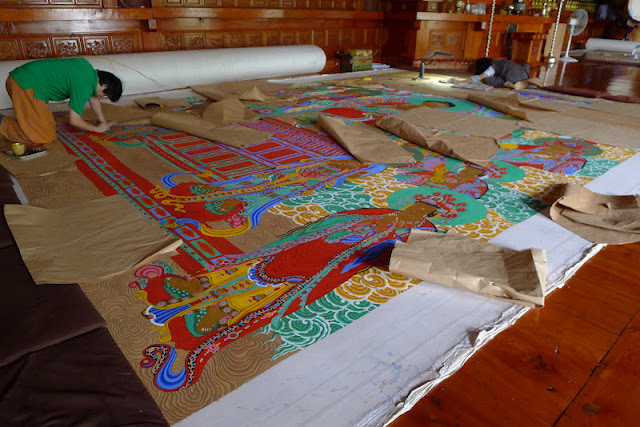 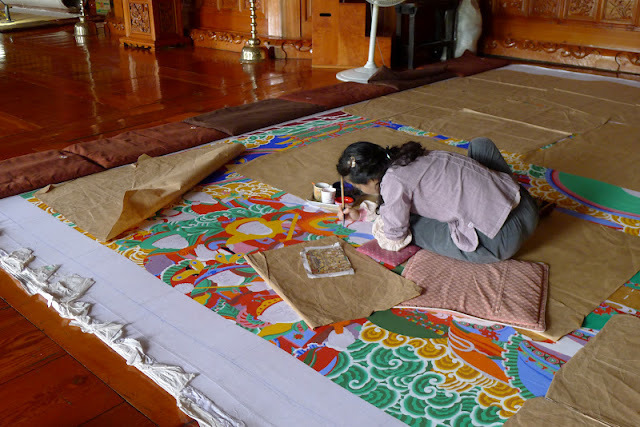 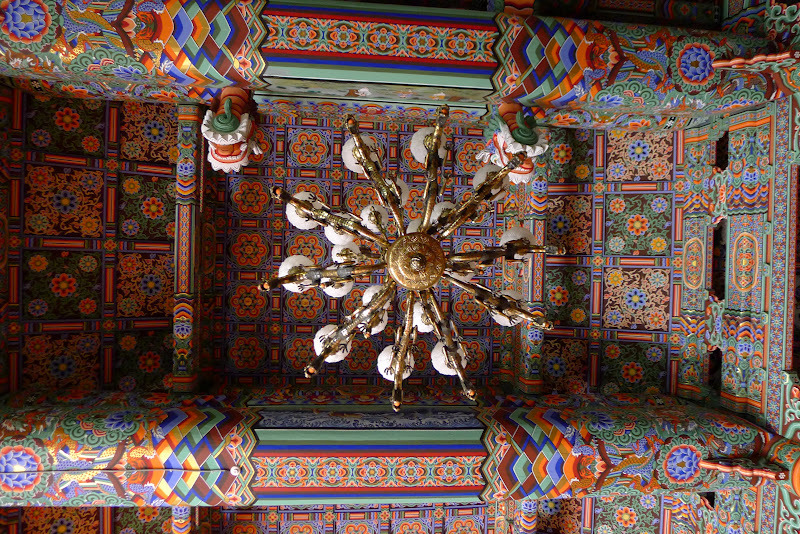 It is a beautiful temple tucked away in a quiet neighbourhood. 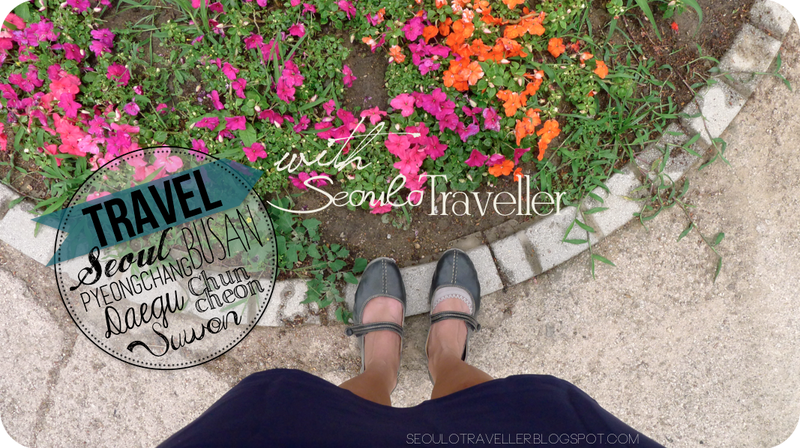 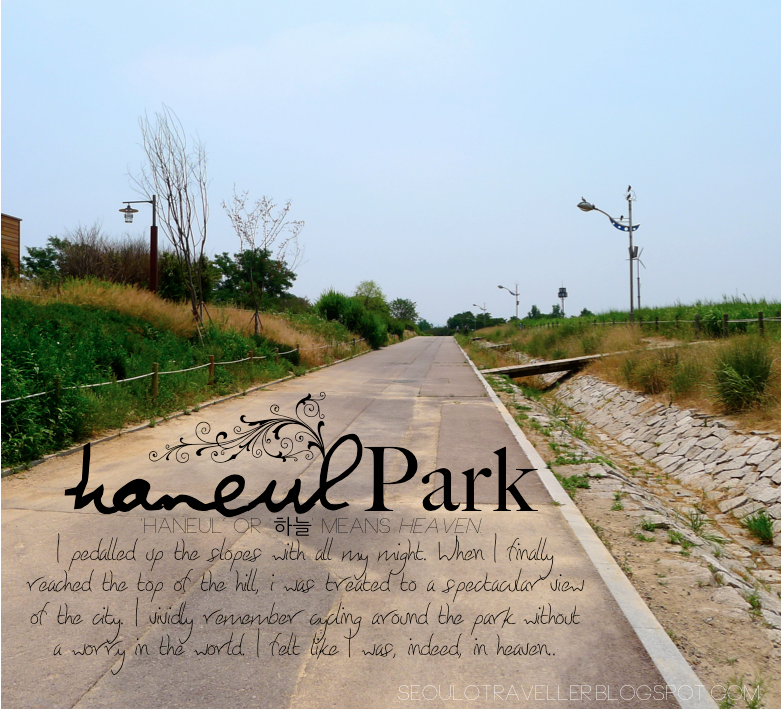 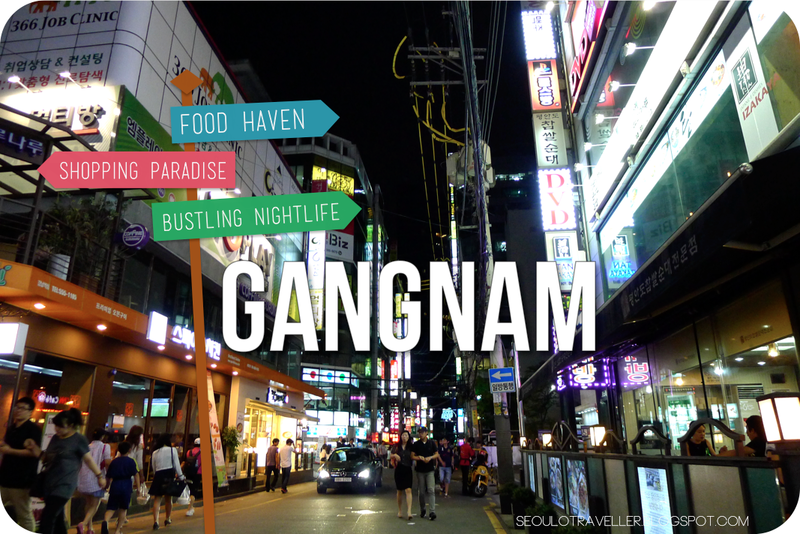 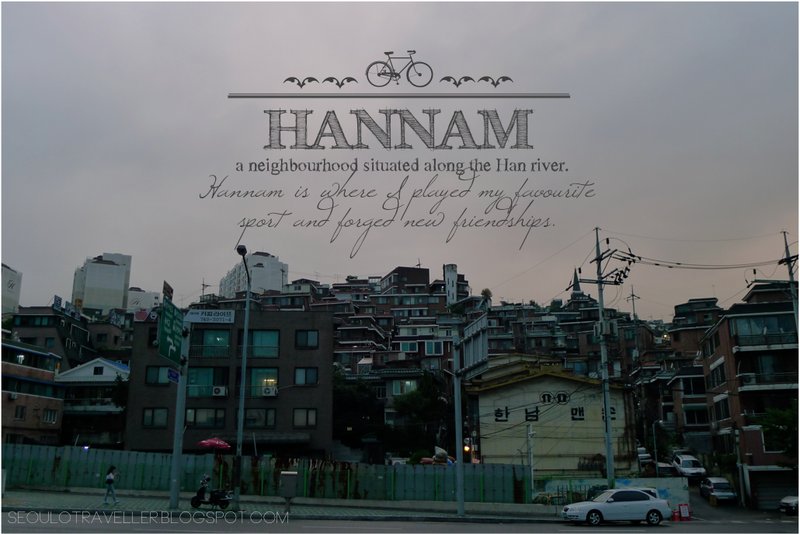 Take the subway to Sinchon station(beside Hong-ik Univ. station). 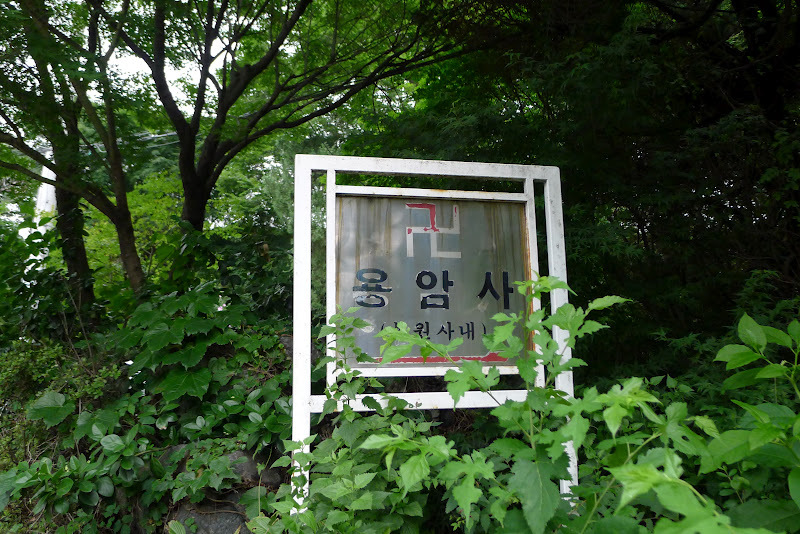 Get out through exit 3, turn left and walk pass Macdonalds(on your right). 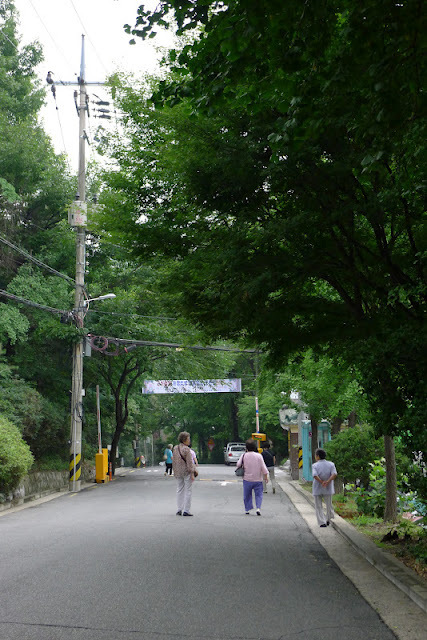 Follow the street and after you make right turn, there will be a bus stop 50m from the corner. Board bus 7024 (the route sticker isn't there but someone wrote the temple name and the bus number in permanent marker haha). 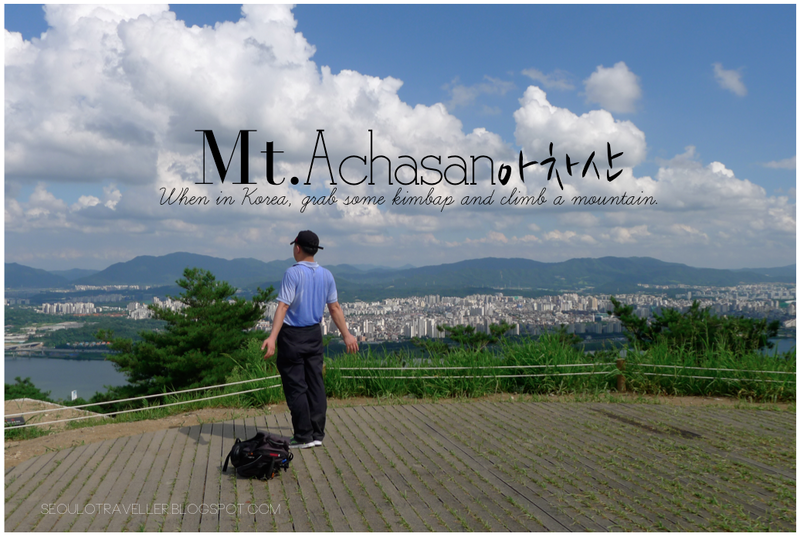 Alight when the bus turns in to a place on the hill. 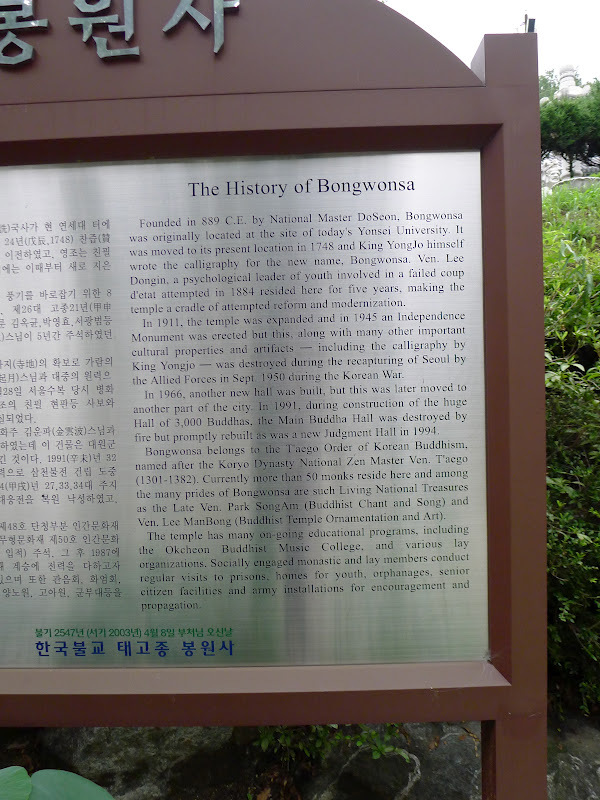 (The name of the stop is just 'Bongwonsa'). Walk up the slope that the bus was originally travelling on before it made a left turn into the place. 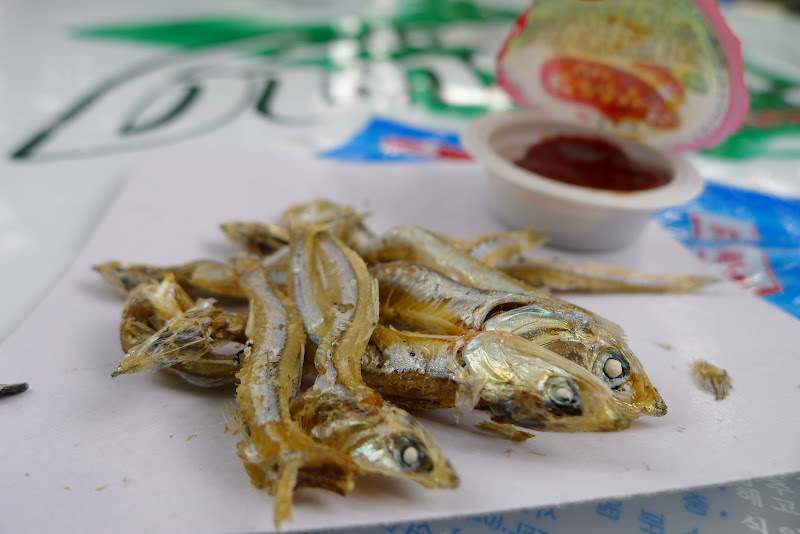 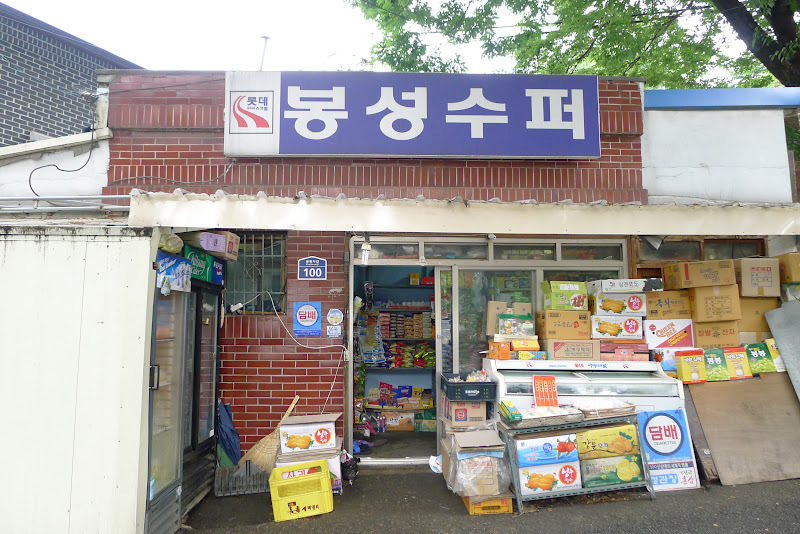 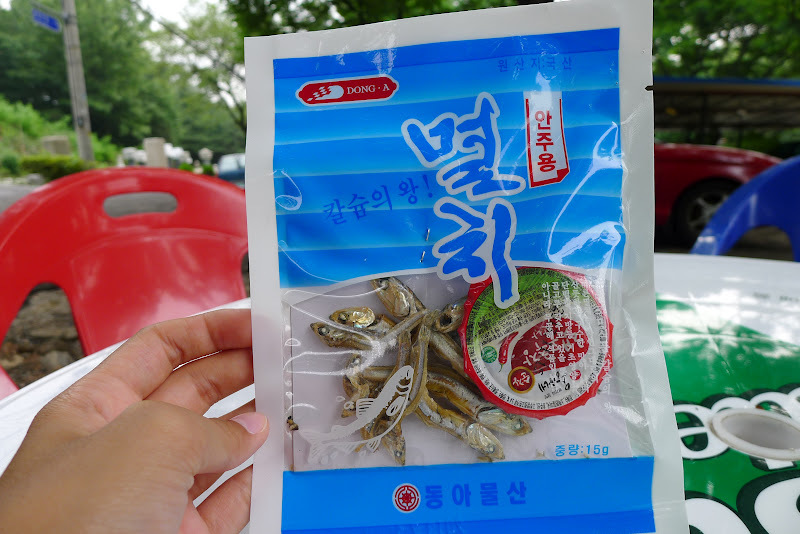 I got a packet of anchovies at the convenience store at 700won.